At least 15 Must-see paintings. A visit with your own art historian, flying in especially for you. Join me for a visit to the impressive Vienna Art History Museum, Kunsthistorisches Museum (Wien). 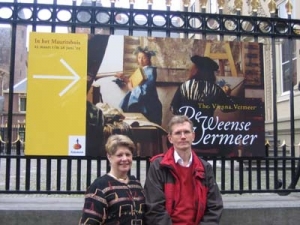 I will be your private guide travelling in from Amsterdam, Holland specially for your education and enjoyment. Please note, this is a high level offer. Practicalities: I live in Amsterdam, Holland and do NOT run a travel agency. I do however provide Fabulous international museum tours. The plan is that you contract me for one or more days as your private ‘Traveling professore’ and offer full transport to that city, plus hotel accommodation in the same place you will stay. We will spend quality time together in mornings and early afternoons. 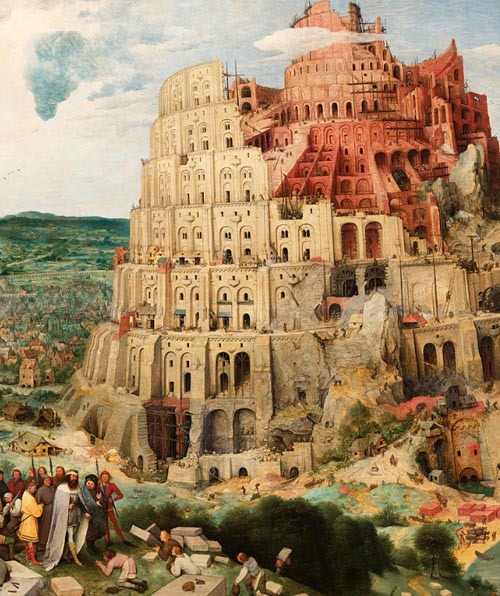 Pieter Brueghel the Elder, Tower of Babel, detail. This great museum, situated on the Ring street, was built by the architects Semper and Hasenauer, and was opened in 1891 by Emperor Franz Joseph. 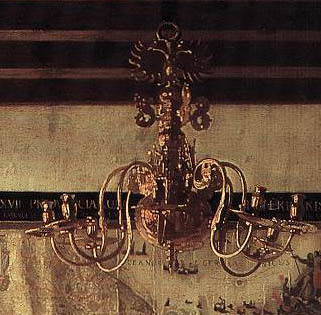 It contains the fabulously rich Habsburg-Lorraine family art collections. In 1919, new Austrian Republic took over family property and in 1920 the administration was transferred to the Ministry of the Interior and Education. 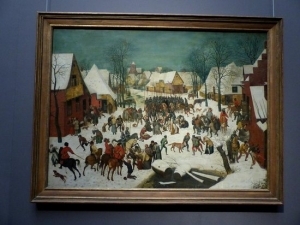 A few days later, the Kunsthistorisches Hofmuseum was renamed and in 1921 it was finally renamed Art History Museum, “Kunsthistorisches Museum”. Staff members of the museum became civil servants. 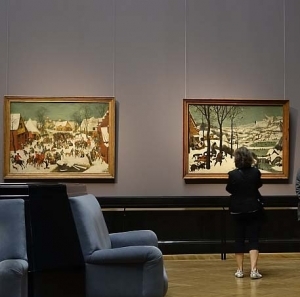 In 1919, foreseeing the shakeup, Hans Tietze had already formulated the “Viennese Museum Program” to meet the changing circumstances in the museum group. 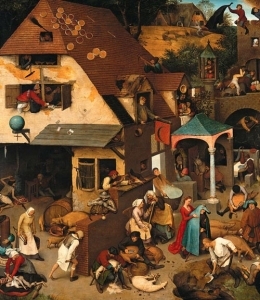 Pieter Brueghel the Elder, Dutch Proverbs, detail. Among highlights collected here in the Kunsthistorisches Museum are Michelangelo, Rubens, Rembrandt, and a fabulous landscape series by Pieter Brueghel the Elder. The birth of Dutch painting is seen in works of Geertgen tot St Jans, the Haarlem painter who followed Van Eyck. His paintings are exceedingly scarce. The Kunstkammer rooms in this museum, with the famous Cellini Salt cellar, is the subject of Holzhausen’s documentary film The Great museum (2014). 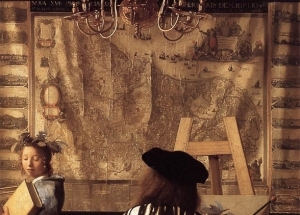 Map of the Netherlands shown in Vermeer: The Art of Painting. Note that the title is an abstraction. It was phrased by Vermeer himself. 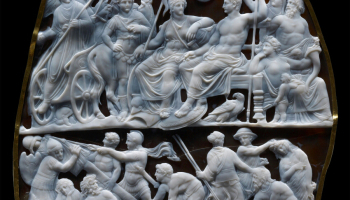 Italian art galore. Top masterworks. Brueghel the Elder, Landscape series. Brueghel the Elder, Landscape series. Life is hard as soldiers ransack a village. 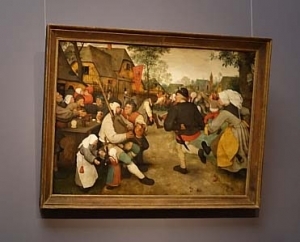 Brueghel the Elder, Farmer Wedding dance. He is know to have dressed down in order to crash a Wedding party here and there in villages. 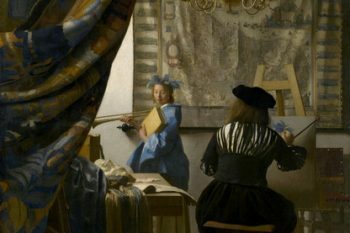 Vermeer: The Art of Painting. This may arguably be the finest painting in the entire world. Hitler was a great fan and obtained it. A side visit to the Art Academy Gallery. 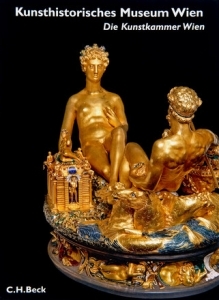 Stolen in 2006 and returned: Cellini’s salt cellar. The museum security system was not entirely up to scratch. Vienna Vermeer. We will stand in front of it and goe through all of the elements and its history. Business card for museum visits and lectures. The logo refers to Vermeer.